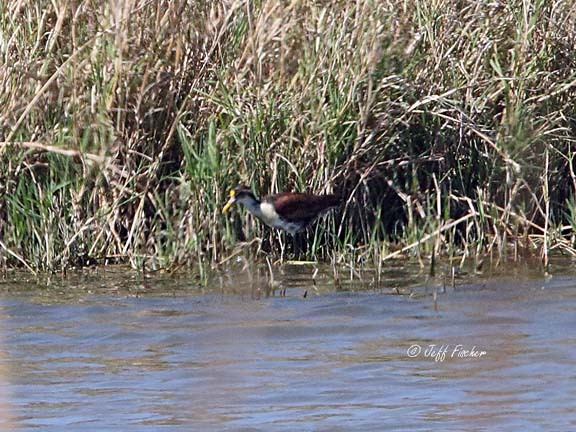 Another life bird that we photographed on our trip to Texas earlier this year is the northern jacana. The pictures are not the best. The bird was a good ways away on the other side of a pond. However south Texas is the only place in the US to see this species, and even there it is a rarity, so even though I could not get great pics I was excited. The typical range of the northern Jacana is from Mexico down to Panama. Always wonderful to see a new bird! 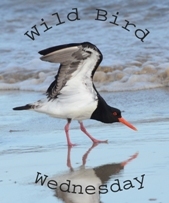 This is not an easy bird to photograph but do you have managed it well. Wow, you ALMOST can't see the bird - great camo. All these views are panoramic. Great captions.